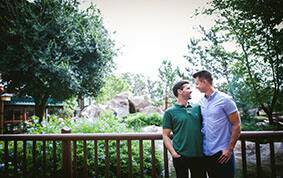 Nathan and Brian were headed to NYC for Nathan's birthday on Southwest Airlines when Brian went up to the front galley to speak with a flight attendant. 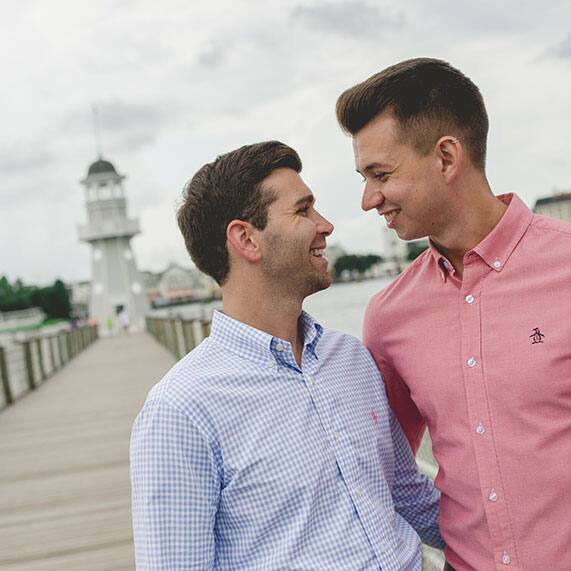 Nathan thought Brian was just mentioning his birthday to them, but minutes later the flight attendant got on the PA and announced that there was a Southwest employee on board...and that his boyfriend had a very special question to ask him. 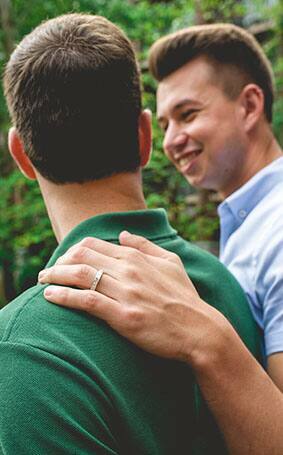 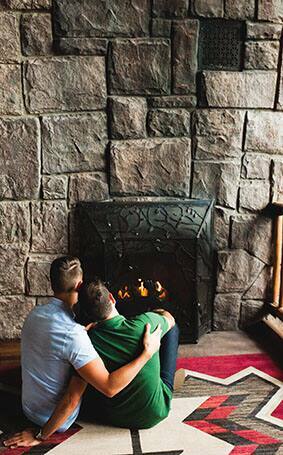 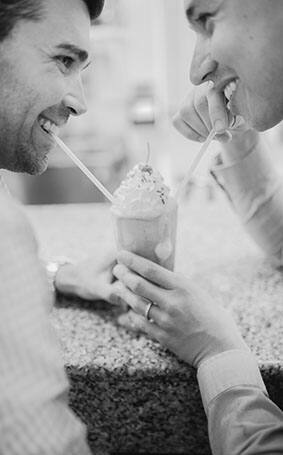 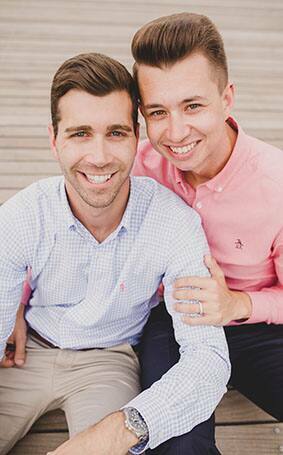 Seconds later Brian got down on one knee and popped the question"“ needless to say, Nathan said "yes" at 38,000 feet! 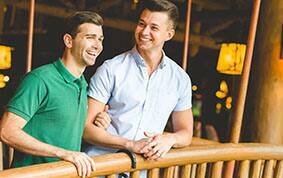 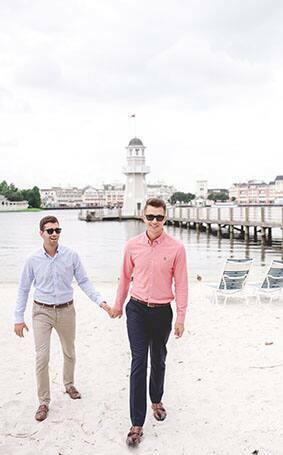 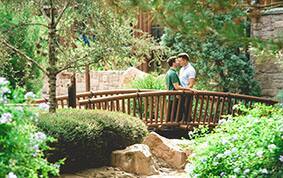 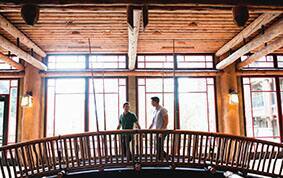 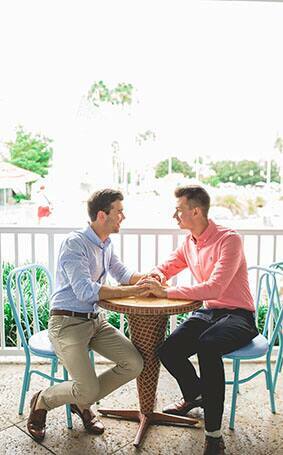 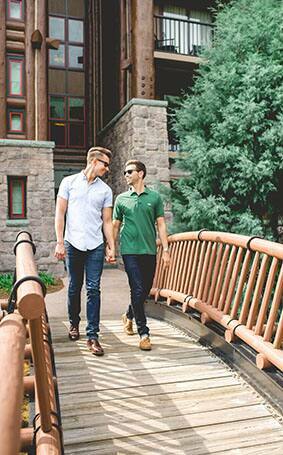 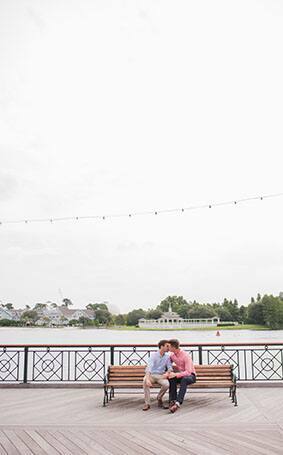 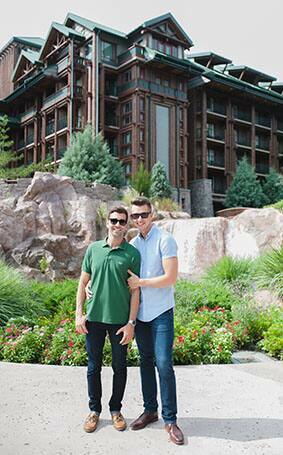 Nathan and Brian's first date was at Walt Disney World, so it only seemed natural for them to celebrate their engagement with a portrait session at their favorite resorts including Disney's Wilderness Lodge and Disney's Yacht & Beach Club. 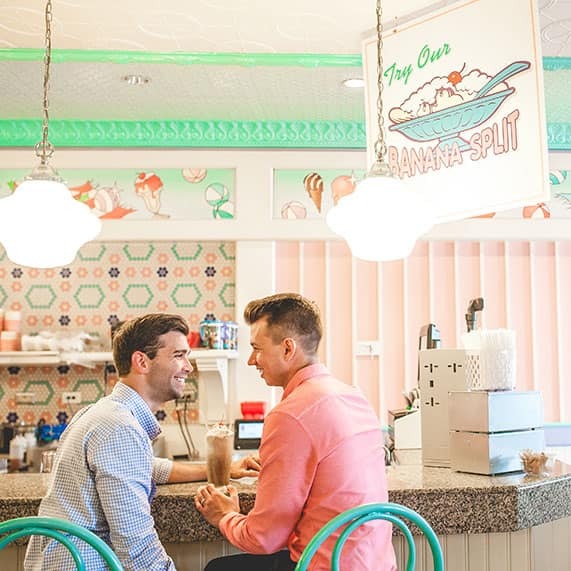 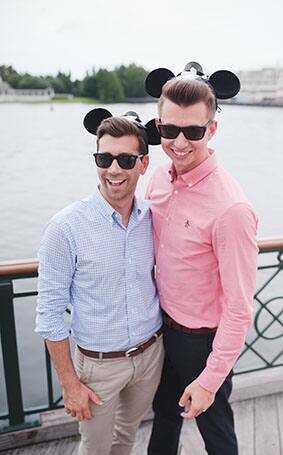 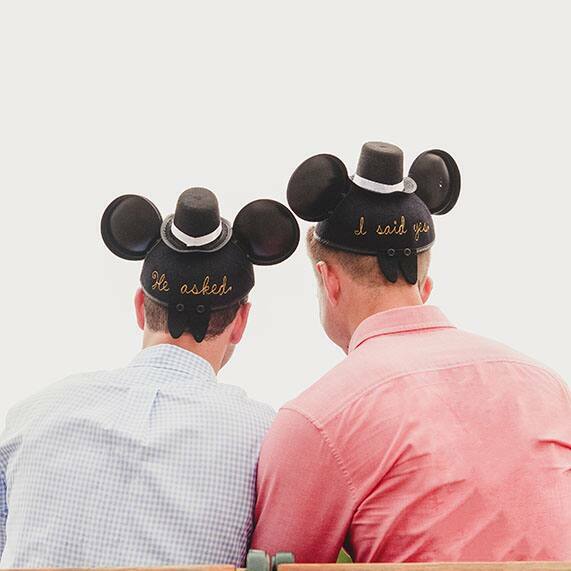 The couple can't wait to tie the knot next summer at Walt Disney World and are looking forward to celebrating with so many amazing friends who have been there for them over the past nine years. 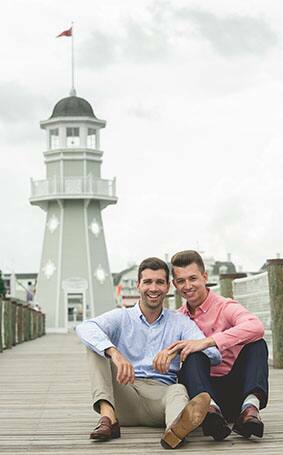 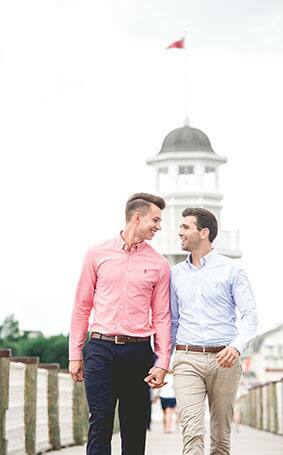 Congratulations, Nathan & Brian!